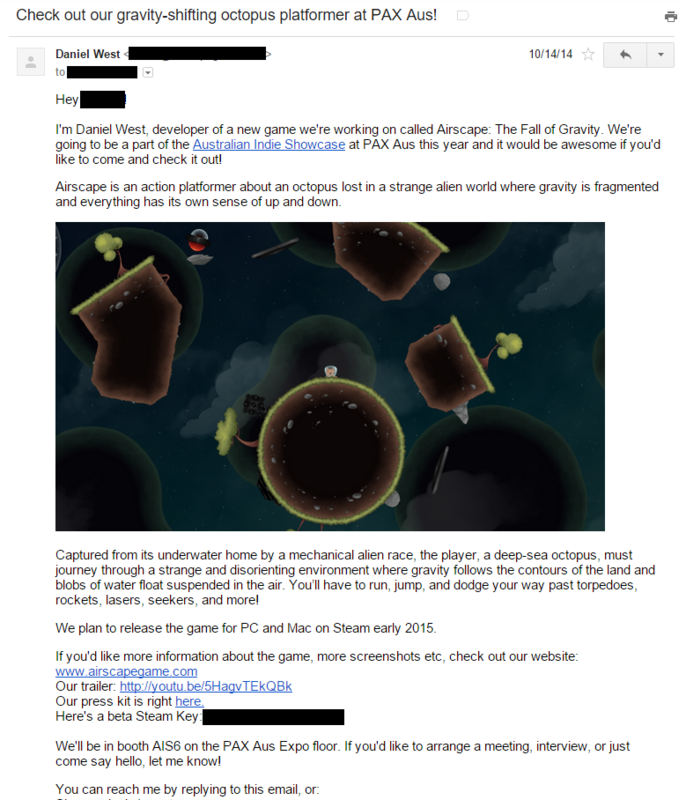 For the past three-and-a-half years or so, I’ve been working with a small team of students on an indie game called Airscape: The Fall of Gravity. We worked mostly part-time; I took on about a year of full-time work in the middle. 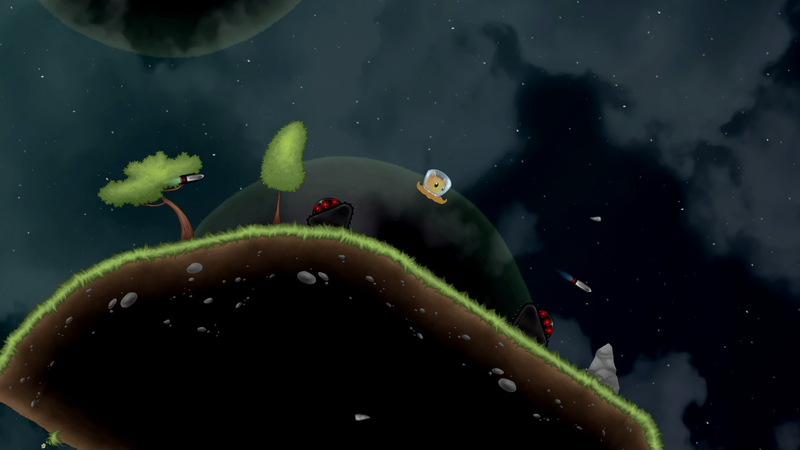 As a quick introduction, Airscape is a 2D action platformer about a deep-sea octopus who has been kidnapped by a mechanical alien race, left to its own devices to survive in a crazy, gravity shifting world full of dangerous robot enemies. 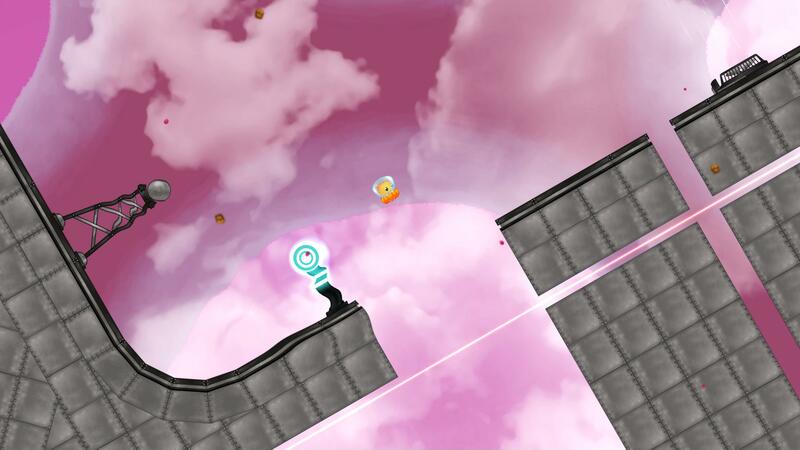 A screenshot of the first zone of Airscape. The difficulty ramps quite quickly from here! 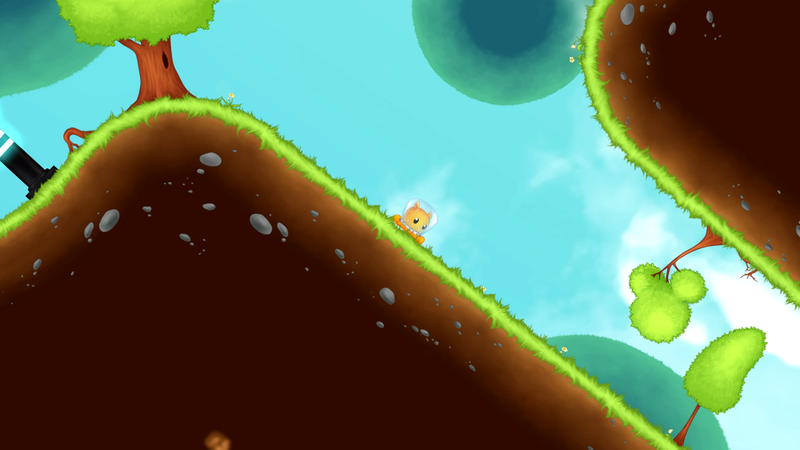 Airscape has won a few awards, including the PAX Australia Indie Showcase selection and the Intel Level Up competition. We’ve showed the game in the Indie MEGABOOTH three times, as well as appearing at numerous other trade events. 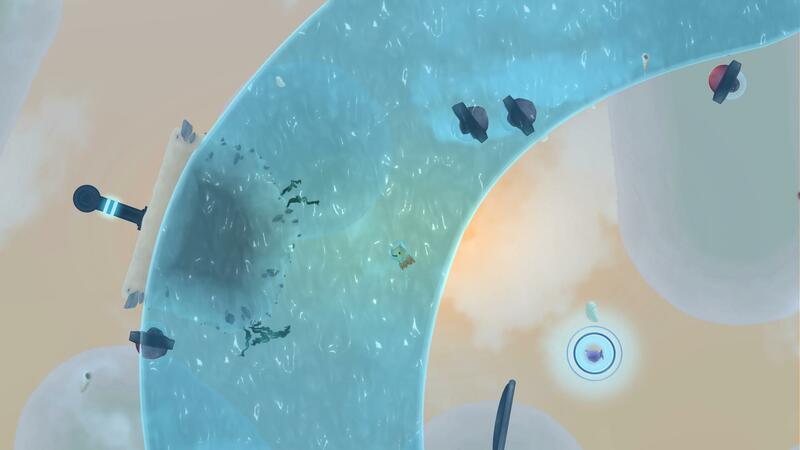 Airscape finally went on sale on Steam and the Humble Store just over three weeks ago. As the review embargo lifted, we saw fairly consistent reviews of 70-80% - Airscape currently sits at around 75% on Metacritic. Not bad for a first effort from a team of students! Not amazing either – but we’ll get to that later. Airscape was a total commercial failure. I’ve actually never heard of a game released on Steam (with some level of marketing) that has sold less copies than Airscape, although I’m sure they exist. Currently, the exact figure sits just shy of 150 copies sold across all distribution platforms. Even conservatively estimating 10% of lifetime sales at launch, we will barely break even on PR costs, never mind development costs. Thankfully, none of the team was financially reliant on the game doing well – all of us have good safety nets. 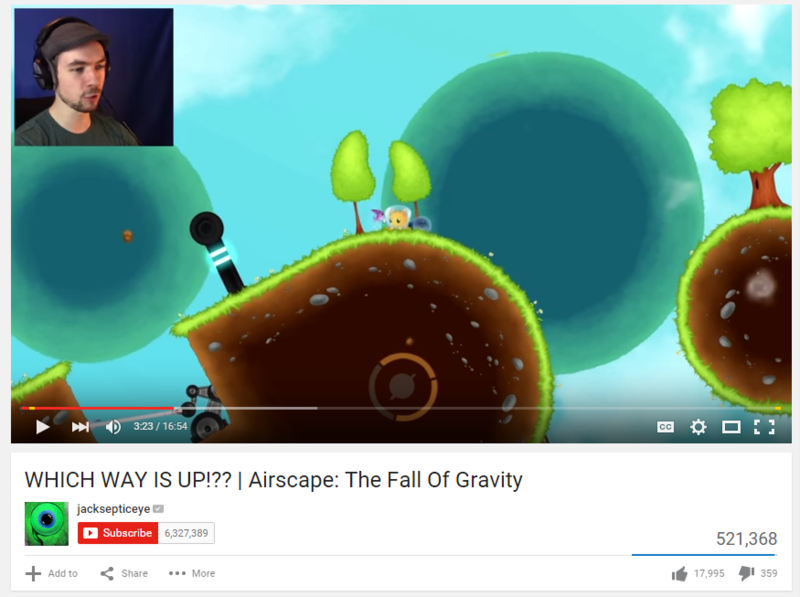 Why did Airscape flop so badly? As always, the answer is complicated. I certainly don’t know the whole truth but I’m going to do my best to spell out what happened, and what I think it means for other development teams hoping to release an indie game for PC. Early on in the development of Airscape, I realized that marketing would play a very important role if Airscape was ever going to be a success. I read every guide out there, asked for advice, and got a pretty good picture about the right things to do when it came to marketing a PC indie game. Starting with the launch, and with subsequent press pushes at major events like GDC, PAX East, Prime, Aus, etc, I reached out personally to all the media I could. Personally emailed press whenever there was reasonable news – announcement, new trailer, showing at a con, etc. Exhibited at several events across the globe – GDC, PAX East, PAX Prime, PAX Aus, Denver Comic-Con, and more. Submitted to a number of awards. The game was selected for two of them! Was fairly active on social media. Maintained a good-looking website, with presskit() integration. Posted to Reddit, forums, and so on. As we moved towards the launch window, I figured the smartest move would be to hire a professional game PR company (obviously one with lots of indie experience) to promote the game. I knew that I didn’t have all the answers when it came to PR so I removed myself from the equation by hiring a company with real-world know-how. I spent a decent amount of money on that, just to make absolutely sure that the marketing would be a success during the critical launch period. When the launch embargo lifted, we were again disappointed to see almost total disinterest from all major press outlets, streamers and journalists alike. There were a few notable exceptions, but overall, launch went by and the gaming press at large simply didn’t acknowledge the game’s release. I do not think the PR company failed in any way - you’ll see why bit later. One of the exceptions. This video generated maybe 20 sales. Reviews of the game had been universally positive. Here then, perhaps, lied our salvation. Even more powerful than press marketing is the raw power of Steam’s metric driven frontpage; surely a good game would find its way to the hallowed ‘popular new releases’ column, especially during a time window specifically chosen to contain very few notable releases? Not so. After the brief stint on the frontpage that is guaranteed to all Steam games, Airscape vanished. Metrics showed that this front page stint generated very few sales, as did a multiple-day front page presence on the Humble Store. This is important, as you’ll see shortly. At this point, I think it’s fair to say that we can eliminate bad marketing as the main cause of the game’s failure. Press were given ample opportunity to write about the game, and for the most part, thanks to the great work done by the PR company, they were made aware that it existed. Indeed, we actually heard back from many large press outlets saying they would not review or cover the game’s launch. As mentioned before, it wasn’t exactly a busy period so I think it would be incorrect to chalk it all up to bad timing. After a week or so, sales trickled down to roughly one copy per day. At the moment, it’s about zero copies per day. Let’s now look at the game itself. The answer, after all, may be simple - Airscape could be rubbish! If you read the reviews, you’ll find that this also is probably not the case. As previously mentioned, the game universally scored around 70-80%. Positives included its gorgeous artstyle, wonderful soundtrack, and innovative gravity-shifting gameplay. One negative was potential dizziness from the constantly spinning camera, mostly fixable by game settings which could adjust the rotation speed. Another negative was the game’s steep (sometimes uneven!) difficulty curve, and rather brutal difficulty in general. This was always the intention on the design side, however I suspect numerous factors (including the fact that there were a few sections that were unintentionally unfair) prevented reviewers from praising the difficulty as a plus point. So, we made a good game, and had good marketing – what went wrong? There’s only one answer: we made a game that nobody wanted to buy. This is a slight exaggeration – I strongly believe that the game has a potential audience of players who would absolutely love it. Indeed, quite a few of the people who actually did buy the game have reported having an absolute blast – one even said it’s one of their games of the year! The game's cute graphics may well have pushed away the masochist audience we needed. But, despite our best efforts, the game (or, crucially, what people saw of the game) simply didn’t appeal to the mass market. 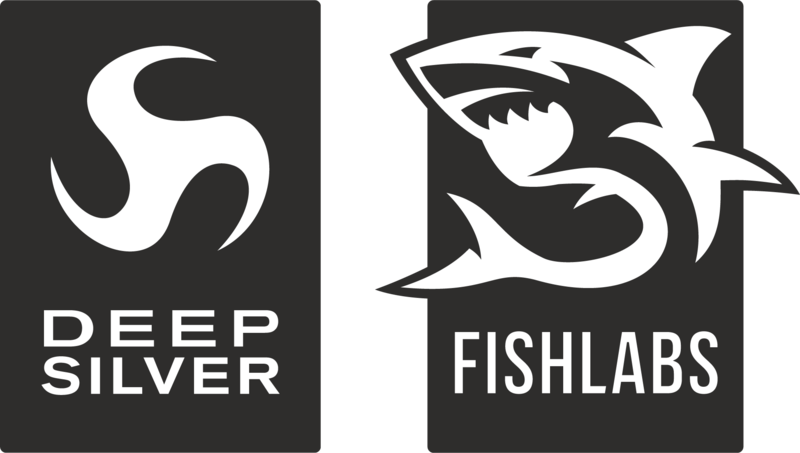 I had looked into games like Super Meat Boy, Hotline Miami, and Nuclear Throne – all *very* hard games that have done well commercially – and assumed that there was a large market for challenging games. The mistake I made was looking at these games as average examples instead of the outliers that they are. We may also have made a marketability mistake with the fundamental split between artstyle and gameplay. Cute, appealing octopuses, orchestral music, and welcoming colours were intended to make the game unique and interesting, but might have alienated the very audience we needed to attract. By making a game that nobody wanted to buy, we launched ourselves into what I’ll call the Death Spiral of marketing. If a game doesn’t make it into the Life Spiral, it will undoubtedly end up in the Death Spiral. Getting into the Life Spiral is the major (only?) way to get the big sites and LP’ers creating content about your game. Of course, there are usually exceptions – some kind-hearted journalist or youtuber will often take a special interest in a game, but on a grander scale, press want clicks. If your game is ‘popular’, it’s going to get more clicks, which is going to make it more popular, and so on. This is a good time to mention that the strategy we used could be called the ‘Saturation Method’ – Trying to get into the Life Spiral so that everyone and their mother hears about the game, which then naturally filters down into sales from those that are interested. There’s another way to market a game – what I might call the ‘Community Method’, which is to accept that most people are not going to be interested in the game, and instead focus on building a core community of dedicated fans which will grow organically. This has worked very well for a number of games you have head about, quite well for a bunch you might not have heard about, and presumably very poorly for a sizeable number of games you definitely haven’t heard about. The Saturation/Community method dichotomy is crude, but works well for our purposes. The Community Method may very well have worked out better for Airscape. However, it crucially requires something for people to rally around – a constantly updated, Early Access build of the game, or at the very least a Kickstarter. I didn’t feel that Early Access would fit Airscape – a game where much of the joy comes from being surprised at what’s coming to kill you next – and we didn’t need a Kickstarter for funding. Instead, I ended up opting for a go-for-broke launch push with the Saturation Method. No matter how much coverage a game gets, it doesn't matter so long as nobody wants to buy it. In 2015, this is exactly what you should expect. There seems to be a prevalent attitude that if you just do everything right, you’re sure to find success. This idea abounds when we talk about games that failed to meet expectations. Much of the time, you’ll see failures explained away as fundamental errors made by the misguided development team. If only they’d gone to more shows! Mailed the right journalists! Put more effort into Youtubers! If you only do everything right, it’s quite unlikely you’ll find success. A successful game needs magic – that undefinable element that turns a game from something good into something special. After all – why would anyone want to play a good game when a magical game just came out yesterday? The only reasonable answer, that I can see, is ‘Because it’s in my personal niche’. However, without a large enough percentage of people including a game in their niche, the game will still end up in the Death Spiral as the vast majority of people simply won’t care. It’s no longer enough to make a good game. Good games are plentiful, and the rate at which they come out is constantly accelerating. Consumers are absolutely spoiled for choice, good and great games abounding. Good marketing isn’t enough either – Games with way more marketing spend than yours also come out every day. I personally haven’t seen any counterexamples to this, ever. The main change recently (And perhaps the cause behind the latest ‘indie bubble panic’) is that the standard for ‘remarkable’ has shot way up, putting all three of the elements on that list even further out of reach. If your game does not fulfil one or more options on this list, it’s extremely likely that you will hit the Death Spiral and lose all press interest very quickly. Of course, the definition of what is ‘remarkable’ and what isn’t is hugely subjective, constantly changing, and very hard to determine. After all, absolutely every game is remarkable in some way! I won’t attempt to go further into what is and what isn’t remarkable here. Any such judgements are better suited to someone much more experienced than myself. First of all, it’s a bad idea to take the performance of one game as a guide for the direction of the industry in years to come. Please do take this information as it is: a singular data point. That being said, I’ll do my best to summarize what Airscape’s release has taught me about the indie game PC market on the whole. Steam has long stopped providing much benefit for PC indie games, beyond simply being the expected norm, and amplifying success when it comes. Game developers can no longer rely on some baseline level of success coming from having a good, well-marketed game on Steam. Like it or not, Steam has become the App Store, sans human curation and with less emphasis on free-to-play. One might look at Steam’s position now as similar to the early phase of the App Store, with a pricing race to the bottom the only way forwards. Personally, I hope this isn’t the case, and that indies will stand strong against constant pressure to lower prices and submit to steeper and steeper sales sooner and sooner after release. I'd include the famous 'steam releases by month' graph here but I'm sure you all have that comitted to memory by now. An incredibly low barrier to entry has ensured that the number of games released per month is skyrocketing. As a direct result, it’s harder than ever to make a game that sticks out. The standards for remarkability, marketing, and luck have increased dramatically, meaning that games need to be bigger, better, and have more expensive marketing campaigns to stand out from the crowd. I’ve lost pretty much all confidence in the possibility of reliably making a living with indie games. I had never put a whole lot of stock in it, however at the moment I see it as a risk that's simply not worth taking. I can’t help but make games, so I’ll keep working on them in my spare time, but without any real hope for commercial success. I truly wish that I’m wrong, and that Airscape’s failure is not an indication of a larger trend. The indie development scene is incredibly vibrant and I’m absolutely honoured to be a part of it. Indie games will certainly survive. I only hope that the toll on their creators is not too heavy.